In today's society, people want information immediately when they are searching for it. With 61.2 million smart phones or wireless devices in operation in the US, doesn't it make sense to make the mobile consumer the best possible experience on your website? Have you ever been out for the evening and decided to check out the website of a local restaurant to see what type of menu they offer only to find that the site is waaayy to big to fit on your mobile phone? Most likely you left the site and searched for another restaurant. This type of thing happens all the time. When today's consumers are ready to buy, they are more likely to purchase from a business that they can search for on line from wherever they are. On top of websites that are too big to fit on a mobile screen, resulting in having to scroll around the site, many mobile phones will not display flash components that are common on a full size website. On top of that, images that load quickly on a full size web site can take excruciatingly long on a mobile phone, regardless of how fast the connection is. All of these are reasons for your potential customers to go elsewhere. In today's society, people want information immediately when they are searching for it. With 61.2 million smart phones or wireless devices in operation in the US, doesn't it make sense to make the mobile consumer the best possible experience on your website? 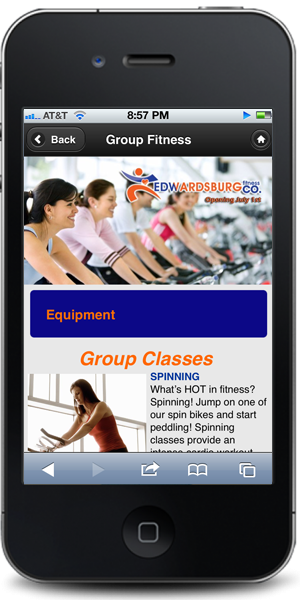 Shockingly, less than 1% of all businesses in the US have a mobile ready website. Did you know that in a recent survey conducted by Forrester Research, more than 50% of consumers buying at your normal retail stores begin their searches online? Almost 77% of households have at least one cell phone. Yet, according to Forrester, the proportion of homes with land lines has dropped to 89%, the lowest level since 1965. Industry analysts predict that after 2015, there will be more users connected to the Internet through mobile phones through desktop computers - something that even just a few years ago would have been unthinkable. Is your marketing plan ready for this tsunami of mobile consumers? How are you planning to get their attention? The answer is a mobile website from TJ21 Media Group. When you are ready to get started, please contact us today.